Let me first tackle The Shell Seekers. Most of the circumstances were in favor and had me predisposed to really like this book – it seemed like one of those epic family saga, with a story interwoven between present and the World War II era, with a lot of emphasis on paintings and the Bohemian era of British artistry. Besides, it was in my Lecito List and is part of BBC Top 100- The Big Read, along with such noteworthy works like The Great Gatsby and Catch 22 etc. How could I not possibly like the book?? Well there is an old adage – never judge a book by its cover! I have invented a new one – never judge a book by reading its inlay cover: it’s completely misleading. Don’t get me wrong, the book was all that the inlay cover claimed – it traces the life and times of the Keeling family as they plan to make their way in the world by selling the last remaining works of their grandfather – Lawerence Stern, a great Victorian artist, whose popularity was getting revived again. However standing between their grand ambitions and the works is their mother – Penelope Keeling, the only daughter of Lawerence Stern and the primary protagonist of the book. The book evolves through her memories, each chapter focusing on an important figure in her life, sweeping between past and present. The past takes the reader back to the bohemian childhood of hers and then through the war time romance and brings the reader back to present where she develops a strong bond with two young strangers over her avaricious children. The book ends with Penelope’s death and the disclosure of her will which leaves her inheritors astounded. The book has some absolutely marvelous description of Cornwall and like many before makes the reader go and settle there for good and never come back. There are some very fine details of costumes and food of the bygone era. It’s an easy read and will not stress the reader out too much. But that’s where all the good stuff of the book ends! This book is singularly one of the most disappointing reads of my life. I started it off with such expectation, but it was a letdown. I am not sure how this book came to be termed as one of the big reads of all times!! The novel had so much potential, simply because of the historical backdrop and the subject of Victorian paintings, but it all seemed wasted. To begin with, the book had such a superficial narrative of World War II: the heroine joins the war effort because she is moved by the story of some Jewish refugees from Germany. But she promptly then meets a man, gets pregnant and marries him, only to discover, Alleluia, the marriage is a disaster! Her parents are supposed to be completely free-spirited and are ready to accept her and her unborn child, but she still goes ahead and marries this man, for no clear reason. Then of course, during the course of the war she has a clichéd love affair with the perfect man – a man who understands art and reads poetry and can play with her daughter and is a paragon of virtue! (Do such men really exist? Also would it not be boring to be constantly with a man who is so PERFECT!!!! Besides shouldn’t opposites attract?) Not only she has an affair, but the town seems to bless it and by then 18th page of this chapter, you know this affair is doomed and when you reach the end of the chapter – surprise surprise – it’s doomed!! She is supposed to be this strong independent character, but until she becomes an old woman, I do not see any independence in her – she is constantly dependent on her parents and friends! Then come her children who all are supposed to be greedy and materialistic, except one Olivia and she also does not seem completely human and is constantly reminding herself to be human! I mean Duh! The day I have to remind myself to be humane and kind, well then there is something wrong with mankind. Even the references to the Victorian arts are artificial and inconsequential – with such prodigious material available on the paintings of that time, a little more depth would have helped the book. In the end, I do not think it’s a work to be handed down to posterity nor should it stand with the likes of The Lord of the Rings and War and Peace. It’s one of those novels that you read on a flight and leave it on the plane! 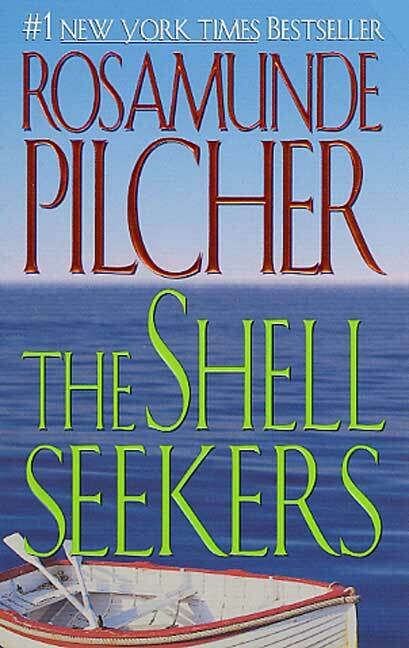 The only impressive thing was not related to the book, but the author – Rosamunde Pilcher. She had written since 1950’s in various Mills & Boon Romance publications, but it was at the age of 60 that she wrote The Shell Seekers and gained worldwide fame. It’s remarkable how she shed her comfort zone at a very late age in her life and of course the risk paid off – though I still do not like the book! No review of mine can be short and I bid adieu on this blog with a faithful promise that I will inflict my readers again with my take on The Baker’s Daughter. ← In the society of Friends and other such mortals…..